The first-year curriculum consists of 24 credits of required classes and 6 credits of electives. Half of all first-year classes are taught in sections of 60 or fewer students. Your first year of study at Northwestern will focus on building a solid foundation in legal reasoning, analysis, and writing, as well as a thorough understanding of the structures and policies of the law. Teamwork and communication skills are also strongly emphasized in classes such as Communication and Legal Reasoning, a required year-long course in which students collaborate on analytical exercises and group projects. Part of this class involves participation in the Arlyn Miner First-Year Moot Court. Another supplement to your first-year education is the Lawyer as Problem Solver program. Faculty and legal professionals teach this mandatory seminar, in which students learn how to facilitate problem solving for clients in settings outside the courtroom or boardroom. At the end of the year, you may apply for a position on one of the Law School's scholarly journals. Selection is based on a writing competition, first-year grades, and a publishable note or comment on a legal topic. 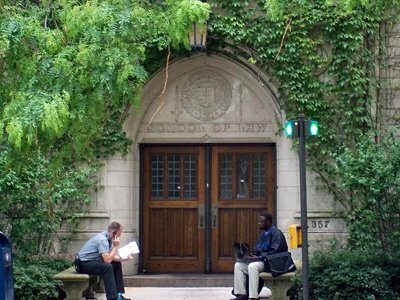 Want more info about Northwestern University School of Law? Get free advice from education experts and Noodle community members.